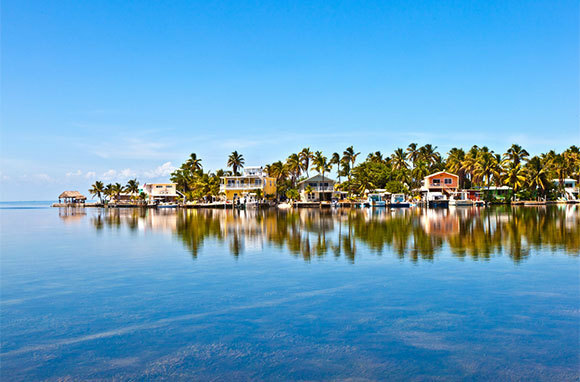 Somewhere between quiet villages and metropolises that never sleep are these perfect up-and-coming American cities. With their revitalized downtowns, they’re savvy enough to brew smooth craft beers, land touring Broadway shows, and attract Food Network-caliber chefs. But they’ll welcome you with that unpretentious small-town warmth that automatically puts you at ease. Here are 10 terrific little cities, from Chattanooga to Yakima, and plenty of reasons why each one is worth a visit. What's Hot: The creative economy. There are so many artists, photographers, ad-agency writers and designers, and high-tech creative types in Portland that collectively they're driving change in the city. This influx of young creative professionals has fueled new expansion in the historic Old Port waterfront district, with new shops and restaurants that now stay open year-round. It has also transformed the Bayside district's scrap yards and warehouses into student housing, restaurants, and even a hipster bowling alley. Why We Love It: Portland has all the trappings of a metropolis—touring Broadway shows, an opera company, two ballet companies, its own symphony, and chefs who regularly turn up on the Food Network—but without any of that pretentious big-city attitude. If You Go: Don't miss the First Friday Art Walk tour of galleries and studios or the Old Port with historical red-brick buildings and cobblestone streets. In October, sample seafood at the Harvest on the Harbor festival, when the Maine Lobster Chef of the Year is awarded. What's Hot: In the arts hotbed where Yale University makes its home, there are so many impressive new collections and performances that you'll need more than a weekend getaway to experience even a fraction of them. The university operates two art galleries and a Tony Award-winning repertory theater. Two other theater companies bring live drama to the stage, and music venues range from the Yale School of Music to the local symphony to Toad's Place, where U2 and The Rolling Stones have played. Why We Love It: So influential are the arts in New Haven that each summer the 15-day International Festival of Arts & Ideas draws great minds and performers from around the world along with crowds of 100,000. If You Go: Eat at one of the oldest and most revered establishments in New Haven: Louis' Lunch, which stakes a claim as the birthplace of the hamburger. Local legend Pepe's is known for its unusual white clam pizza. What's Hot: Wine. San Luis Obispo residents, even Franciscan padres in the days of the Spanish missions, have produced wine for about 100 years, but the industry has really taken off in the past two decades. Today, more than 200 wineries with Chardonnay, Pinot Noir, and Syrah grapes spread across the rolling countryside. The other factor driving the economy here is tech jobs. A recent analysis by CareerBuilder found that San Luis Obispo County saw the nation's second-highest job-growth rate in math and computer jobs for millennials over the past six years. Why We Love It: With its 18th-century Spanish mission and college-town culture, SLO has long been recognized as one of the best stops on the one-tank road trips between Los Angeles and San Francisco. It often gets kudos for being one of the friendliest and healthiest cities in America with some of the best main streets. If You Go: Save time for the beach. Take in breathtaking views of the ocean and the bowl-shaped valley surrounded by volcanic peaks and lush hills. 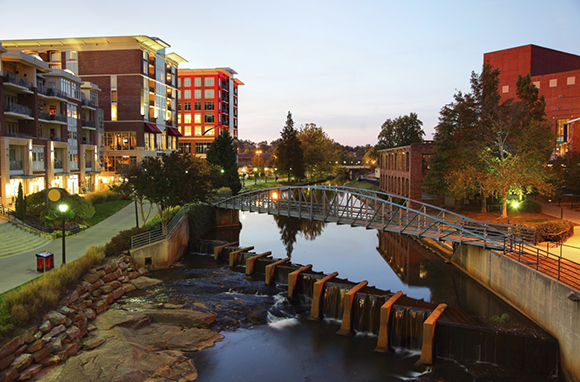 What's Hot: A charming Southern up-and-comer, Greenville is one of the country's fastest growing cities, with a downtown revitalization ranked among America's best by Forbes magazine. Downtown, you'll find a number of major hotels, 110-plus locally owned restaurants, a Boston Red Sox farm team playing in a new stadium, and five touring Broadway shows on stage each year at a new performing-arts venue. Why We Love It: New development will never overrun this emerging downtown. 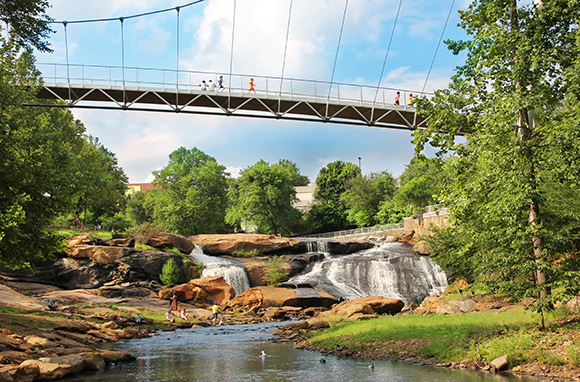 At its heart is a 40-acre park with a 350-foot suspension bridge that spans a gorgeous waterfall. If You Go: Burn off beer calories on a bike. In this relatively flat city, cycling is huge and craft beer is on the rise—a fortuitous combination. Seventeen-time Tour de France rider George Hincapie recently opened the nearby Hotel Domestique for cyclers who want to train with the elite and sleep in luxury. What's Hot: Clever entrepreneurs and their small businesses have carried this quaint resort town on Lake Michigan through the recession. One of Traverse City's biggest projects is transforming an architectural treasure, the sprawling campus of a 19th-century mental asylum dotted with castle-like buildings, into a complex of shops, restaurants, offices, and apartments. You can take a guided tour of The Village at Grand Traverse Commons to see the unrenovated buildings and walk through a brick steam tunnel built in 1883. Why We Love It: It's hard to believe you're in Michigan when you look out from the heaping sand dunes over the clear Caribbean-blue waters in the bay. Low humidity and cool coastal breezes help cut the heat whether you're lying on the beach or playing a round of golf. If You Go: Pick a quart of fresh cherries straight off the tree. This region produces more than 70 percent of the country's tart cherries and it celebrates with a weeklong National Cherry Festival in July. Cherry Republic sells 150 gourmet concoctions made from locally grown cherries. What's Hot: The job market. Employment growth in the Asheville region has outpaced that of the rest of the state and nation since 2009. 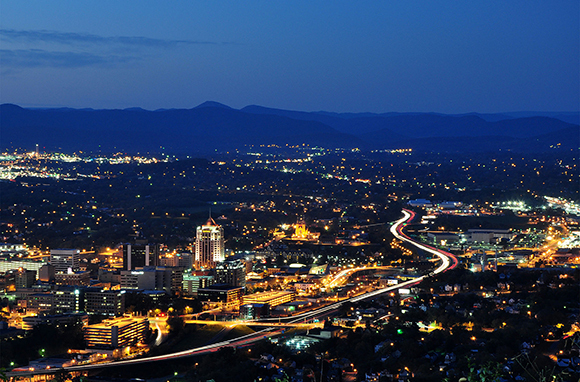 Last year, Forbes ranked Asheville among the "Best Places for Business and Careers." Why We Love It: This Blue Ridge Parkway beauty adores food (think five James Beard-nominated chefs) and has an unmistakable mountain vibe. Is there anyplace else with at least 15 farmers' markets, 250-plus independent restaurants, and 18 craft breweries making products like beer shampoo? If You Go: Do the touristy visit to the Biltmore Estate's winery and experience plenty of girl power in the new aSHEville Museum, opening this summer. For a bucket-list culinary experience, don't miss one of Asheville's three institutions: Biscuit Head with its cat-head biscuits (yes, the biscuits are as big as cats' heads!) and River Arts District favorite White Duck Taco Shop have both opened second locations on Biltmore Avenue. Weekend lines out the door have prompted an upcoming expansion for French Broad Chocolate Lounge this fall. What's Hot: Earlier this year, the New York Times called Chattanooga "Gig City" for what local officials and analysts say is the fastest and least expensive Internet service in the country. CNN and the Wall Street Journal are also singing the praises of the service that has drawn major tech companies and young professionals to Chattanooga. Over the past decade, these brilliant minds have helped completely revamp the city's downtown riverfront, a $22 billion project. Nearly 130 acres on both sides of the Tennessee River were reconfigured into a network of attractions, businesses, housing, entertainment, and parks that connect for miles. Why We Love It: It's a hidden gem tucked between the mountains of southeast Tennessee and only a short drive from Nashville and Atlanta. If You Go: Walk across the Walnut Street Bridge, one of the country's longest pedestrian bridges. The owners of the beloved Easy Bar & Bistro, located in an old Coca-Cola bottling plant, have helped spark the creation of independent locally owned restaurants downtown. What's Hot: This hip University of Montana city is known for its outdoor adventures, but over the past few years, downtown's revitalization has stolen the spotlight, with several new boutiques and restaurants opening. There's also a thriving food-truck scene, with trucks capturing the flavors of Montana's farms and ranches. You can imbibe in Missoula's six breweries, two wineries, and one distillery, with more to open in the coming year. Why We Love It: It has the coolest combination of eclectic residents: academics, forestry folks, authors, musicians, and fly-fishing junkies. Hop on a bike and feel like you're in college finding your way around Missoula on more than 20 miles of bike lanes and trails. If You Go: The ultimate summer-gathering spot is downtown's Caras Park along the banks of the Clark Fork River. Local musicians and food trucks come out every Wednesday at lunchtime and every Thursday night throughout summer. What's Hot: In the last four years, this Blue Ridge Parkway city has attracted hundreds of hipster residents to a revitalized downtown with a new amphitheater venue in Elmwood Park and a new pedestrian plaza in the historic city market. There's also alfresco dining and nine locally owned restaurants at the newly renovated City Market Building and incredible views from the rooftop pavilion at Center in the Square. Plus, more than 333 new apartment and condo units are in the works downtown. Why We Love It: Its mountain scenery, Appalachian Trail access, and proximity to almost everywhere on the East Coast. If You Go: Check out the view from the parkway at Milepost 120, the Roanoke Star Overlook. Take a downtown Roanoke Food Tour, the number-one-rated Roanoke activity on TripAdvisor. Float down the Upper James River in a tube with Twin River Outfitters. Rent a bike from UnderDog Bikes and explore neighborhoods along the Roanoke River Greenway. What's Hot: A major multiyear development recently revamped downtown Yakima with new streetscaping and sidewalks, hotels, and boutique retail shops. You'll see the biggest change on historic Front Street, with the reopening of the 1910 Northern Pacific Train Depot that sat empty for years. The building now houses a local pizza shop, a local coffee store, and a Yakima Valley farm outlet selling fruits, veggies, meats, and cheeses. Also in downtown, Yakima Craft Brewing Co. opened this month and Cowiche Canyon Kitchen + Icehouse Bar is slated to open in late September. Why We Love It: It's located on the sunny (300 days annually) side of Washington state, in the wine-country region of the Yakima Valley. You can go tasting at 100 wineries, pick from orchards, or head to the river for fly-fishing and rafting. If You Go: Bring your dog. Check here for an interactive local map with 50-plus businesses that are pet-friendly. The new Spirits and Hops Trail takes you to several craft breweries, cideries, and distilleries. <img style="vertical-align: middle" "margin: 0 0 0 0;" src="http://u.slimg.com/smartertravel/gallery/cover/originals/stm53a196a330dab20140618.jpg" alt="" width="125" Iconic Summer Getaways in the U.S.